Looking for a discount on your Indian takeaway in Ammanford? Well, look no further. Let it not be said that The Eastern Star Indian Restaurant doesn’t look after its customers, both new and regular. Have a look below and pick any offer that suits you best. Come back and use any of the discounts every time you order from us and save £££’s on all your Indian takeaways Ammanford. 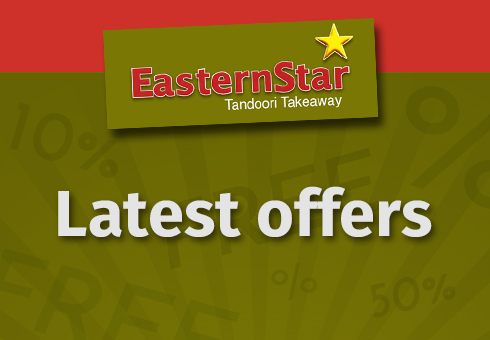 Eastern Star Tandoori Ammandford – A great traditional Indian takeaway in Ammanford.